How Do I Know If I Have Bed Bug Bites? While treating bed bug bites is pretty straightforward, determining whether you actually have bites from a bed bug is not quite so simple! There are many insects that could leave bites that look like bed bug bites (for example, mosquito bites are very commonly mistaken for bed bug bites). And there are many allergies and rashes that could also produces bumps in your skin that look very similar to bed bug bites. Even professionals often have trouble determining whether someone’s bites are from bed bugs or not. That’s why we highly recommend people check that they have bed bugs before jumping to conclusions after seeing a few bites when they wake up. 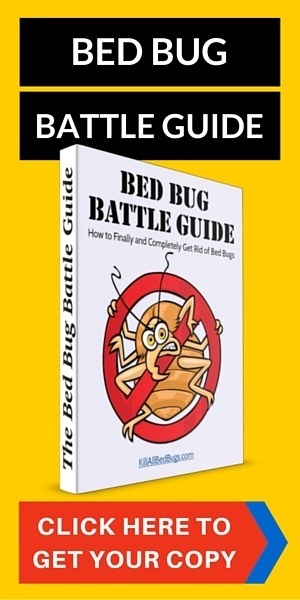 Check out our section on bed bug symptoms if you’re unsure whether you have bed bug bites or not. Bed bug bites are generally not dangerous and that’s why you can use home remedies as bed bug bites treatment. However, there are some individuals that might suffer an allergic reaction to bed bug bites, including anaphylaxis (difficulty breathing) in some rare cases. For those individuals, immediate medical attention is recommended! If your bites a very painful and swollen, then we also recommend you get them checked out by a doctor. There aren’t really any other potential dangers to bed bug bites. The main fear with insect bites is that they transmit diseases, but this does not appear to be the case for bed bug bites. However, as with any insect bites, they can get really itchy. And if you scratch them too much, bacteria from under your fingernails can infect the broken skin. Antiseptic creams or lotions can help if you do get a skin infection from scratching the bites too much, and if that doesn’t help, then we recommend seeing a doctor to check. Below, I’ve listed 14 home remedies to help lessen the itchiness so that you don’t get to the point where the skin is broken and skin infections are possible. Most bed bug bites go away after 1-2 weeks. Prolonged scratching can delay the healing process, so that’s why it’s good to use some of the following treatments to get rid of those bed bug bites as quickly as possible. This is probably the most obvious treatment for any type of itchy bug bite. Hydrocortisone cream is often sold over the counter. And if you can’t find hydrocortisone cream, other anti-itch creams are often available at pharmacies. Method: Apply a small amount of hydrocortisone cream over the bites, and make sure you wash your hands after. Always read and follow the instructions on the package. Calamine lotion is often “used as an anti-pruritic (anti-itching agent) to treat conditions such as sunburn, rashes, poison ivy, poison oak, chickenpox, and insect bites and stings.” This makes them perfect for treating itchy bed bug bites. You can purchase calamine lotion at a lot of stores, but you can also make your own following this recipe here. Method: Place a small amount of calamine lotion on a cotton ball and apply to the bites. As with any medication, follow instructions on the package. Essential oils can often help with various ailments. Lavender essential oil is often said to have analgesic effects due the linalool compound in the oil. Tea tree essential oil has antiseptic properties and is used to treat many skin conditions. Both tea tree and lavender essential oils can help relieve itchinesses on insect bites for several hours after application directly to the bites. 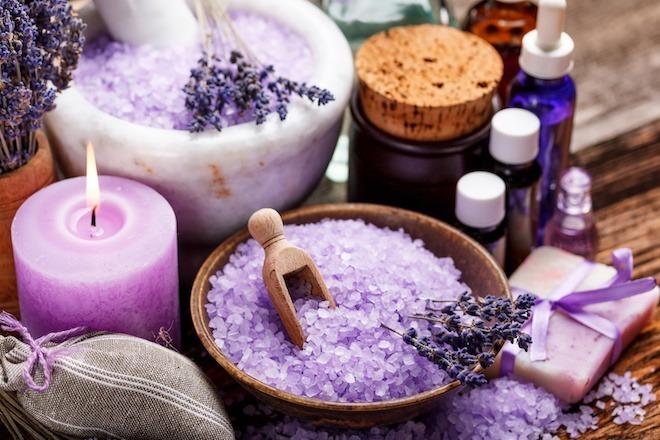 You can purchase essential oils many places – just be careful to purchase pure essential oils (not diffuser oils or scented oils which often contain other fillers and are not suitable for application to your skin). Most advice regarding essential oils suggests that you dilute it before use, so make sure you don’t apply pure essential oils to your skin before proper dilution. Method: Dilute essential oils in water or oil and apply to bites. A paste made from combining baking soda, AKA sodium bicarbonate, and a little bit of water can stop the itching by drying out the skin around the bed bug bites. This is an easy treatment to create since most of us have baking soda in our pantry or can easily purchase it at the grocery store. Method: To create the paste, mix enough baking soda with water to form a paste. Then apply the paste on the bites to reduce the itchiness. Make sure the paste is thick enough that it won’t just run off your skin. Leave the paste on for several hours until it is completely dry. Then wash it off gently with warm water. Some people have suggested that adding salt into the mixture as well can help. This is probably the first thing you should do when you find bed bug bites on your body. This simple act can help reduce itchiness and also help kill any bacteria on the bites that could cause infections. Method: Wash the bites area carefully with soap. Ice helps to keep the swelling down on bites as well as relieve itchiness by numbing the bites. Method: Apply an ice pack to the areas with bed bug bites. Wrap a tea towel around the ice pack before placing it directly on your skin. This sounds like an odd bed bug bites treatment, but it’s actually recommended by many people. Just think about how many skin care products (like soaps and shower gels use oatmeal or extracts from oatmeal as a component!). While it’s unclear whether it’s the oatmeal itself that’s doing the healing or just the hot water, this treatment should help to calm your skin and make the bites itch less. So, if you have oatmeal in the house, then give this a try. Method: Pour a hot bath and add powdered oatmeal into it. Alternatively, if you don’t want to go through the hassle of taking a bath, you can mix the powdered oatmeal with warm water to make a thick paste, which you can apply to the bites. Lemon juice and apple cider vinegar (as well as other vinegars) are natural antiseptics that are often used to treat skin conditions (in particular, to relieve itching). They also help kill any bacteria on the bites. Method: Apply lemon juice or diluted apple cider vinegar to each bite. Wait for around an hour before washing it off. Alka-seltzer is an effervescent antacid and pain reliever that contains 3 ingredients: aspirin, sodium bicarbonate (which is baking soda), and anhydrous citric acid. The aspirin can help relieve any pain from the bites, and the sodium bicarbonate and the citric acid can both help to relieve itching. Method: Place two Alka-Seltzer tablets into half a glass of water. Dip a cotton ball into the water and apply it to the bites. Note – don’t use this remedy if you’re allergic to aspirin. Antihistamines can be oral or applied directly to your skin. Antihistamines (e.g., Benadryl) work by reducing the amount of histamines produced by your body in response to the allergens injected by the bed bugs into the bites. This can help to reduce the redness and swelling of bites. Method: Follow instructions on the antihistamine packages and take orally or apply it directly to your skin. Witch hazel is a plant that is used to produce an astringent (also called witch hazel), which is used to treat many skin conditions. Method: Depending on what type of product containing witch hazel you use, you may have to dilute it or you may be able to apply it directly to your skin. Again, follow instructions on the package when using. Aloe vera is a succulent plant that is used to make various products including moisturizers and sunburn creams. Method: Apply gels containing aloe vera on your bites to calm them. Epsom salts are magnesium sulfate crystals that are common in many bath salts. It’s unclear if the magnesium in the salts help soothe bites or whether it’s the hot bath that helps the bites. Method: Pour epsom salts into a hot bath. Add in a few drops of lavender essential oil for extra benefit. This is a great option when you’re away from home and can’t easily get some of the other treatments for bed bug bites described above. Even when we’re on vacation, we typically always have toothpaste handy! Most toothpaste contain menthol (hence the minty taste) and baking soda, both of which can help relieve the itchiness from the bites. Method: Apply a small amount of toothpaste onto the bites as needed. What’s The Most Effective Bed Bug Bites Treatment? Anti-itch creams like hydrocortisone are usually the most popular bed bug bites treatments people turn to. However, we find a bit of lavender or tea tree essential oil on a bite can also help reduce the itching for hours. If the bites swell, then ice packs are a great option to help calm things down. i travel alot and have been eaten up my co worker got it first on the leg and then the next night my arms shoulder and legs a total of about 20 all together and they still keep popping up..what does that mean? Your bites could certainly be bed bug bites, but it’s unfortunately very difficult to tell from the bites alone (even most doctors can’t discern a bed bug bite from many other insect bites). In order to be sure that you have bed bugs, you need to find proof. Blood stains on your mattress or sheets are pretty good evidence, but being able to actually find a bed bug or 2 is much more solid evidence. Travelling is the most common way people get bed bugs. I have bites all over my body that i have been told are bed bugs but I can’t find any bugs. What should i do to find them? If you’re pretty sure that you definitely have bed bugs, then you can start an extermination routine, either on your own, or through local pest control. I don’t generally recommend doing this until you’re 100% sure you have bed bugs (i.e., you have proof), but if it’s driving you crazy, then it may make sense to start exterminating before you have confirmation. Just follow the advice on this site (see How to Get Rid of Bed Bugs), or call a local exterminator. If you do want confirmation, then I would try really hard to get proof. I’m sure you’ve already searched your mattress and bed thoroughly and haven’t found any evidence. I’d put double-sided tape all around your mattress, the base of your bed frame, and the legs of your bed. Often, you can catch one or two bed bugs this way for confirmation. Don’t buy the commercially available bed bug traps. They rarely work. You can also put little bowls of liquid (water or alcohol) directly under the legs of your bed, as bed bugs will often try to climb up the legs. Please check out our page on how to get rid of bed bugs. It’s the best advice that we have in terms of getting rid of the bugs yourself. Vacuuming alone won’t do very much. It’s possible that either your husband isn’t being bitten or else that he has no reaction. The latter is more common, as a lot of people have absolutely no reaction to being bitten by bed bugs. I have captured 2 bugs that were on my daughters mattress & box spring. Is there a place or a particular person I can take them to to have them identified? I no desire to get any more up close & personal with them, whatever they are. Hi – I don’t know where you live, and I likely don’t know anyone in your area personally who could identify the bugs. Most good exterminators would know by looking. Why do bed bugs bite me and they never touch my brother?We share a three bedroom old house. A significant number of people actually don’t react at all to bed bug bites. They don’t itch or even show that they’ve been bitten. So it’s quite possible that your brother gets bitten but doesn’t even know it. I used Raid Fly Spray (in the blue can). It kills the bedbugs on contact and costs about 5 bucks for a big can. After visiting this website, I purchased a zippered plastic mattress/boxspring cover set, JT Eatons Kills Bedbugs (green label). I ripped off the fabric from the bottom of the boxspring (was surprised by the amount of evidence under there! ), sprayed the bugs with raid (actually covered the whole inside of the boxspring and both sides of the mattress), put the plastic covers on both and shot the JT Eatons inside both before zipping them shut. Then I went all around the rooms baseboards/outlets/etc., with the JT Eatons, and covered the carpet under the bed with it. Treated my headboard/footboard and rails with it. Washed everything. Put solid white sheets on bed. Slept good last night, but woke up to baby bedbugs this morning. I popped about five tiny bedbugs, when usually its about two or three large ones. What else can I do? Oh, I have one of those electronic insect/rodent repellant thing under my bed as well, but I dont think it works on bedbugs. The sprays work, but only for bed bugs that come into pretty immediate contact with it. 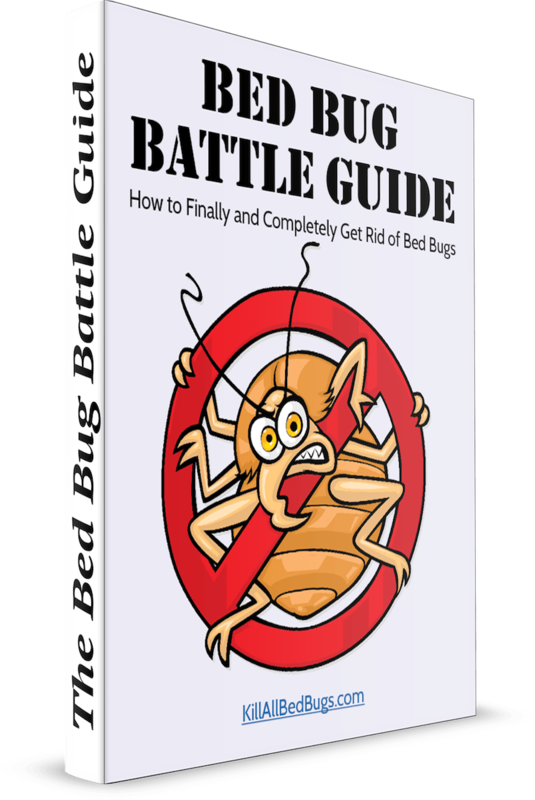 You can check out our best suggestions at How to Get Rid of Bed Bugs. In general, treating with a dry steamer and using DE are the methods we’ve found most successful. My Brother & Stepfather have a real bad infestation of bed bugs! I went to visit them for a couple of hours & i came home with a whole bunch of bites all over the back of my arms! My question is this! how easy is it to transport bed bugs from one place to another just by visiting them for a couple of hours? Hi, fyi — you have a picture of baking powder, but you say to use baking soda. I assume baking soda?